Hello, friends. My name is KinoLangDanzel, your friendly neighborhood potato man. I, ah, have been a member here for quite some time now and I was wondering if anyone has any finds of/links to/recommendations of any anime/manga where there are Fembots/gynoids (of any kind, be they maids or soldiers/assassins or whatever) being destroyed (e.g. Mazinger series destruction of those Gamia Qs). If anyone has any, please list them here. Thanks Thurosis, nice art by the way. Those are nice stuff you posted but there not what I'm requesting for so, uh, I apologize. I was kinda requesting destroyed gynoid/fembot stuff from anime (e.g. Mazinger, Danganronpa, etc) and manga (e.g. I The Female Robot, Mazinger, Ghost in the Shell, etc). If its anime, then please be kind enough to leave the episode #, timeframe in which they appear, and (of course) title of anime. For manga, please leave title and chapter #. 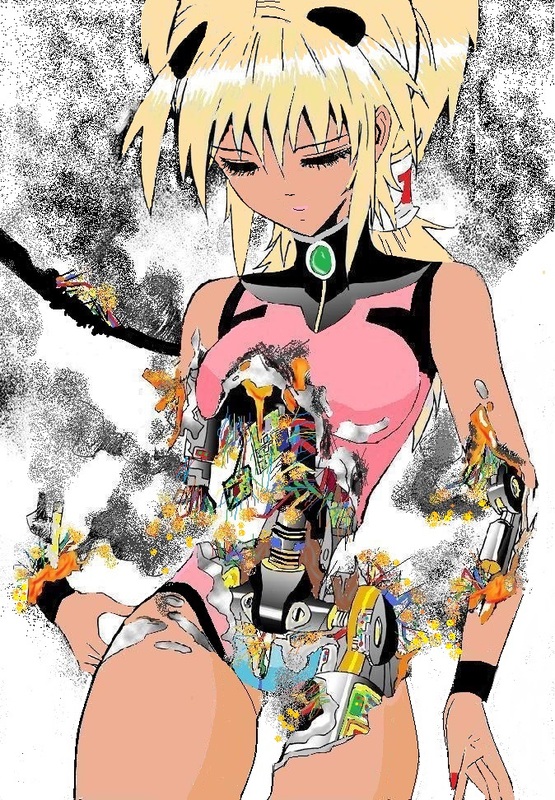 The manhwa (Chinese manga) I The Female Robot has lots of fembot destruction. The main character, Qiqi gets blown apart, chopped up, damaged... she even takes herself apart at one point to change her batteries... all through the series. A number of other fembots get destroyed / damaged as well (Executor 01, Miss Maid, Butler, Snake Girl, to name a few).